Ositadimma Umenyiora was born on the 16th November 1981, in London, England, and is a former professional American Football player, most famous as a defensive end and an outside linebacker of National Football League’s (NFL) New York Giants and Atlanta Falcons. He still holds the Falcons’ most sacks in one game record. With the NY Giants, Osi won two Super Bowl titles, in 2008 and 2012. Have you ever wondered how much wealth this former pro athlete has accumulated? How rich Osi Umenyiora is? According to sources, it is estimated that the total amount of Osi Umenyiora’s net worth, as of early 2017, is over $7 million, primarily acquired through his professional sports career which was active between 2003 and 2015. Although he was born and raised in England, the majority of his childhood between the age of 7 and 14 Osi spent in Nigeria, where his parents are from; he is of Igbo ancestry and his name means “from today on, things will be good”. At the age of 14, Osi transferred to the states where he attended Auburn High School in Alabama, and then he enrolled at Troy University where he began playing American Football for the Troy State Trojans, in the position of a defensive end. 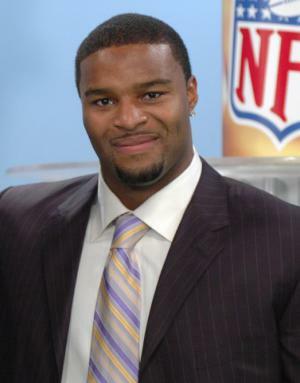 He set several school records for sacks, and for his success and contribution to the game, in 2014 Osi Umenyiora was inducted into the Troy University Hall of Fame. In 2003 Osi turned pro when he was drafted as pick #24 in the second round (#56 overall) of the NFL Draft by the New York Giants. By 2005, Osi had become a starter, and the same year he earned his first All-Pro honors as well as his first Pro Bowl invitation. During this season, he managed to establish himself as a prominent player which earned him to a $41 million-worth six-year contract extension with the Giants, dramatically increasing his overall net worth. In the early stages of the 2007 season, Osi set the Giants’ franchise record for the most sacks in a single game – six, which hasn’t been beaten since. Later that year, Osi recorded his first touch down after a 75 yards-long run. His great performances helped Giants to participating in Super Bowl XLII in 2008, and after an exciting game against New England Patriots, New York Giants won the prestigious title. In, what is still remembered as one of the finest Super Bowl games ever, Osi Umenyiora’s was at top-class level with four tackles, of which three were solos. It is certain that these accomplishments made a huge, positive boost to the overall size of Osi Umenyiora’s wealth. He was out for the next season with a knee injury, and joined ESPN’s TV coverage team, but then played three more seasons before more knee surgery. In 2012, a reprise of the 2008 Super Bowl game against New England Patriots saw Osi and the Giants win another Super Bowl title, before he moved clubs. In 2013, Osi signed a $8.55 million-worth two-year contract with the Atlanta Falcons, where he spent the next two seasons. After signing a one-day deal with the Giants in 2015, Osi Umenyiora officially retired from professional American Football. Later that year, for his great contribution to the franchise, he was honored with the New York Giants Ring of Honor. Doubtlessly, all these ventures provided a significant increment to Osi Umenyiora’s overall net worth. After retiring from his professional sports career, Osi began serving as BBC Sport’s NFL pundit, covering the NFL International Series. When it comes to his personal life, Osi Umenyiora has been married since 2015 to Leila Lopes, Miss Universe 2011. Prior to this marriage, Osi dated Selita Ebanks, a former Victoria’s Secret Angel. 1 DE taken in the 2nd round of the 2003 NFL Draft by the New York Giants out of Troy State University (Troy, AL). 2 Son of Nigerian immigrants.